Next time you decide to take your other half on a date, think outside the box and skip the restaurants, bars and concerts. 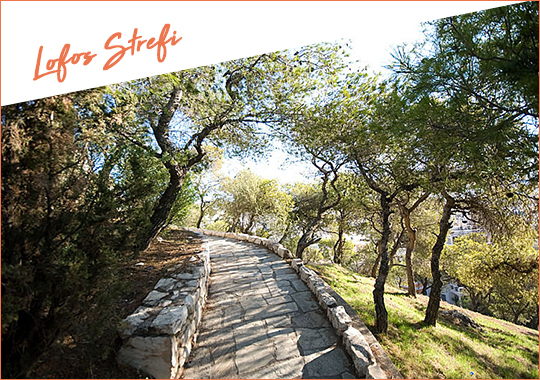 Go for a walk, for a stroll or a picnic to one of the many mountains in Athens offering the most romantic views and atmosphere for a wonderful evening under the stars. 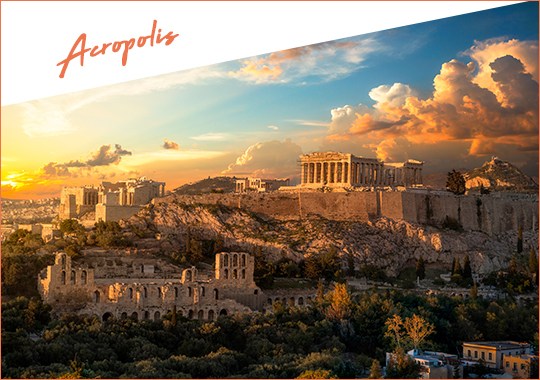 Take a short hike to the top of the Acropolis, standing higher than anything else built all around Athens. Relax on this ancient and eternal landmark and marvel the incredible views stretching from side to side. 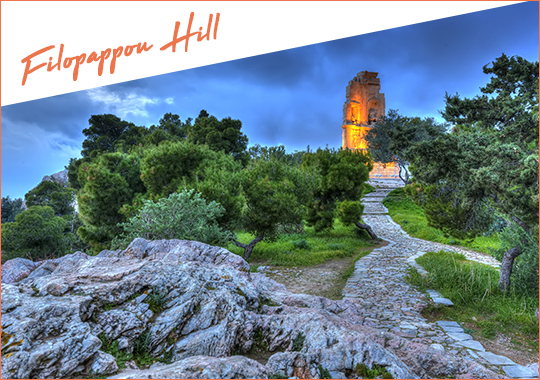 If you’ve already been to the Acropolis then head to the hill and burial place of the 9 Muses also known as Filopappou. From the top of the hill the view to the Acropolis and to the Aegean Sea is magnificent. Where else could you get the best view in Athens than at its highest peak standing 277 meters tall. 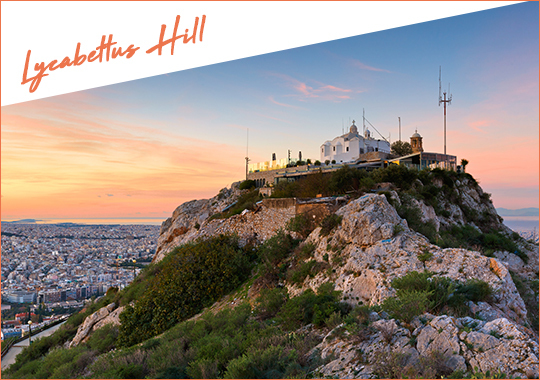 You can walk to the hill of Lycabettus, take the cable car shuttles or the funicular and enjoy a 360-degree view over Athens. 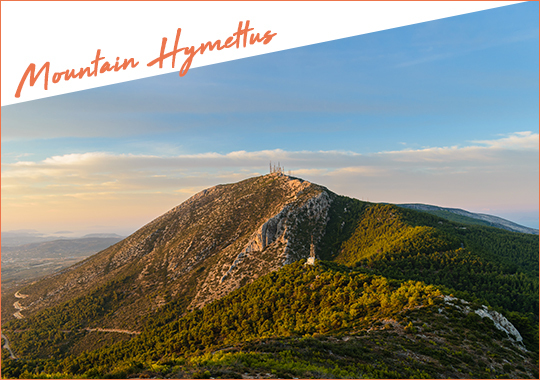 Situated in the East of Athens, Mountain Hymettus is a paradise on earth filled with trees, flora and fauna. Home to many impressive caves and monasteries, Hymettus is also ideal for hiking, trekking and biking as well as enjoying the incredible vistas surrounding it. A less touristy spot near the neighborhood of Exarcheia offering amazing views to the Acropolis and Lycabettus Hill. 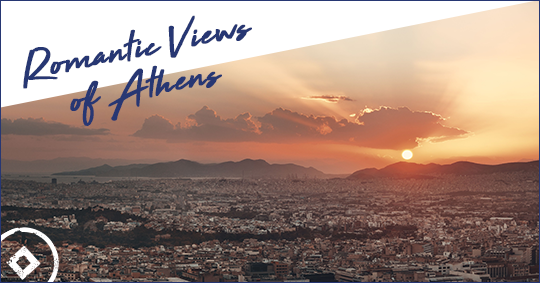 So, whether you enjoy hiking, strolling or cuddling on a blanket, these are the top places to visit with your significant other and marvel romantic panoramic views of Athens. This entry was posted in Athens, Cycladia Posts, Destinations. Bookmark the permalink.